Two ideas are gaining momentum as Texas lawmakers consider ways to raise more money for road projects: raising the vehicle registration fee by $50 and dedicating the sales tax on car purchases to transportation. 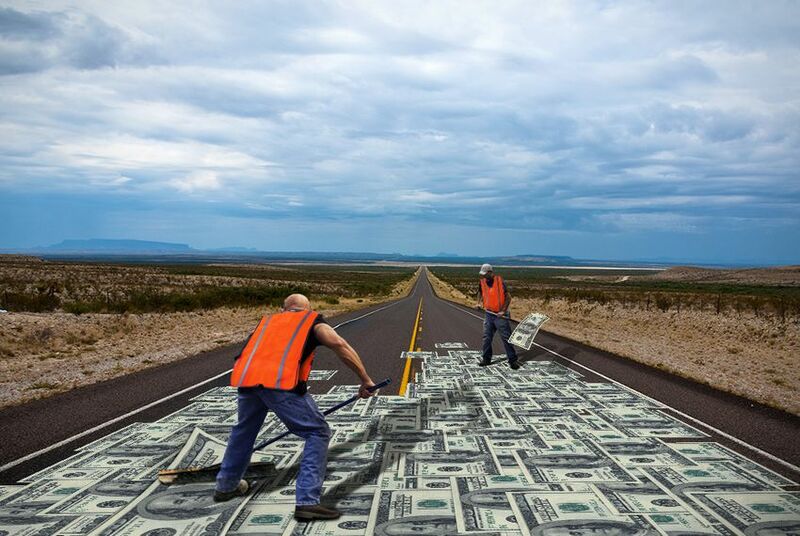 Texas lawmakers are mulling ways to raise more money for roads during next year’s legislative session and two proposals are drawing the strongest interest. The Texas Association of Business has thrown its support behind a $50 hike in the annual fee Texas drivers pay to register vehicles, with the money earmarked for new transportation projects. Meanwhile, some key lawmakers favor dedicating to roads the sales tax from vehicle purchases that Texans already pay. As the 2013 legislative session approaches, transportation advocates have been trying to draw more attention to severe shortages in road funding, stressing that delaying road work around the state will lead to more congested roads and more expensive fixes later on. "The cost of doing nothing is very expensive," said state Sen. Robert Nichols, R-Jacksonville, who was appointed chairman of the Senate Transportation Committee earlier this month. Federal and state gas taxes remain the primary revenue source for road construction and maintenance, but they are widely viewed as inadequate for the state’s needs. Texans pay 38.4 cents in federal and state taxes per gallon, a figure that hasn’t changed in nearly 20 years despite inflation, rising construction costs and the improving fuel efficiency of cars. And the state’s 20 cents-per-gallon gas tax is lower than the national average of 29.7 cents per gallon, according to the Legislative Budget Board. The Texas Legislature, though, is unlikely to approve raising the gas tax for the foreseeable future, lawmakers and political observers say. Past efforts to raise fees or taxes have failed, in part, due to criticism that a large portion of the gas tax is currently diverted to spending on things other than roads, such as funding the Department of Public Safety and public education. But ending the diversions also faces an uphill battle, because those areas of government that rely on some of the gas tax would have to find new funding to replace it. House Speaker Joe Straus, R-San Antonion, has called for ending budget diversions in the next session. Last year, state Sen. Tommy Williams, R-The Woodlands, proposed raising the state’s vehicle registration fee by about $50. Unlike the gas tax, registration fees are entirely dedicated to transportation and do not fall as cars become more fuel efficient. Such a fee hike would generate $1.2 billion a year, which could then be leveraged to raise several more billion by selling bonds, according to the Texas Transportation Institute. Texans currently pay an annual state registration fee of $50.75 for cars and light pick-up trucks. The cost typically increases to about $65 with the addition of local county fees and other fees. Texas has the 18th-highest vehicle registration fees among states. The Texas Association of Business recently endorsed doubling the state portion of the vehicle registration fee to bankroll new transportation projects. TAB President Bill Hammond said his group’s board voted nearly unanimously in support of the plan. Rather than raising a current fee, Nichols wants to take a tax that many Texans already pay and dedicate the revenue to roads. He is calling for a constitutional amendment to dedicate the sales tax on new and used vehicle purchases to expanding and maintaining the state highway system and to paying off transportation-related debt. The money currently goes into the state’s catch-all general revenue fund. The change could be phased in slowly over 10 years so as not to “wreck the budget,” Nichols said. Though the amount of revenue raised for roads would be small at first, knowing that the revenue stream would grow would allow the Texas Department of Transportation to move quickly on perhaps $10 billion worth of new projects, he said. Nichols predicted that the public would back such a measure because it makes intuitive sense. “To take the tax on a vehicle and dedicate it to infrastructure is a very logical thing,” Nichols said. At last month’s Texas Tribune Festival, state Rep. Larry Phillips, R-Sherman, who is chairman of the House Transportation Committee, said Nichol’s proposal has potential, because it would not be viewed as a tax increase. “That’s something we could get on, and I think get some strong support in the House,” Phillips said. Nichols said raising the vehicle registration fee is also worth considering but that it might be a tougher sell. “I think the big question is whether raising the vehicle registration fee is going to be considered a new tax or raising a tax,” Nichols said. Phillips and Nichols are among a handful of transportation-focused state lawmakers who have been speaking around the state about the need to address funding concerns soon.